1.6 engine same as Cooper, so just needs an ECU remap to give the same power. A/c not standard. Plastic wheeltrims are. Needs expensive spec upgrades to make desirable. During the dissolution of the former Rover Group, BMW allegedly cherry-picked the best bits and keeping the iconic Mini brand for itself. The rest, as they say, is history as the BMW new range of small MINI-badged cars sold like hot cakes. The original plan, before BMW sold its 'English Patient' to the Phoenix Consortium for a tenner, was to build the R50 at Longbridge, on the production line vacated by the labour-intensive original Mini. 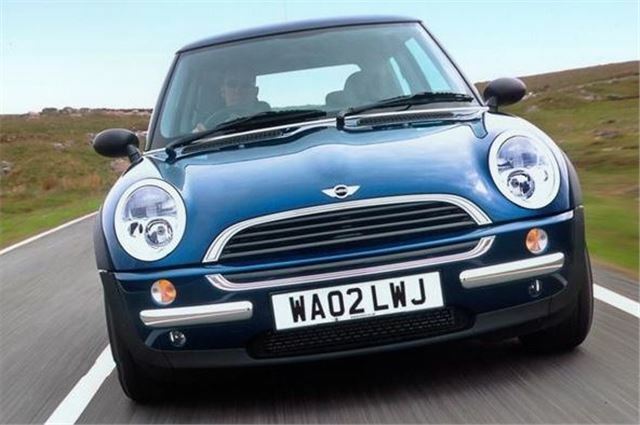 But with the separation from MG Rover, BMW elected to keep the newer, more efficient Cowley plant, now known as MINI Plant Oxford, in which to produce the car. It was, arguably, the beginning of the end for the famous Birmingham plant. Despite the emotional impact the BMW sale had on die-hard fans of British cars (some of which is still felt even today), the MINI arrived to a rapturous reception. The slightly gruff engines were easily offset by the BMW-inspired build quality, cute retro styling and impeccable handling, which was further exploited later in 2001 when the supercharged Cooper 'S' arrived. The MINI was a sensational hit, and won multiple awards. Classic Mini Cooper In Outstanding Award Winning Condition And Just 3250 Miles!